Best-selling author Cameron West visits Oprah for the third time. New York Times best-selling author Cameron West, Ph.D., returns to “Oprah” for his third visit on Friday, January 3 to bring Oprah’s viewers up to date on his life since the original release of his remarkable memoir FIRST PERSON PLURAL: My Life as a Multiple. That book, and a new thriller by Dr. West entitled FUTURECARD, have just been released as e-books from Moonglow Books. In his gripping autobiography, Cameron West tells the story of his struggle to come to terms with having multiple personalities. West, who earned a doctorate in psychology in the years following his diagnosis, offers a poignant account of his efforts to understand the workings of his fragmented mind and to heal his damaged spirit as he desperately hangs on to the slender thread that connects him to his wife, Rikki, and his son Kyle. Kirkus Reviews stated that "For those who found Sybil or The Three Faces of Eve believable and engrossing, this account will be even more so." 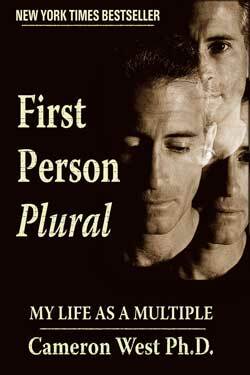 Ellen Bass, author of the important book for survivors of abuse and their loved ones, The Courage to Heal, said, "First Person Plural is an honest, courageous account that demystifies the lives of those who struggle with Dissociative Identity Disorder." Futurecard is Dr. West’s first digital-only release and continues the adventures of Hollywood stuntman Reb Barnett, whom thousands of readers met in West’s first work of fiction The Medici Dagger. In the new adventure, Reb battles the shadowy forces behind a new wave of “nanoterrorism” in which the phrase 'see no evil' takes on a special and sinister meaning. Cameron West appears on the Oprah Winfrey Network on the season premiere of “Where are They Now” on January 3rd at 9PM EST. 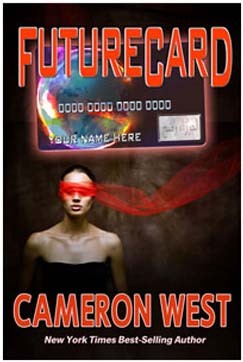 His new digital titles can be ordered online at http://www.cameronwestauthor.com.